The Indian rupee erased morning gains and was trading at day’s low. Equity benchmark indices were trading lower in the afternoon session on Friday as selling pressure was witnessed in Reliance Industries, HDFC Bank, TCS, and Kotak Bank. However, the positive pack was led by L&T, NTPC, Infosys, and Axis Bank. On the currency front, the Indian rupee erased morning gains and was trading at day’s low. The currency depreciated by 21 paise to trade below 69 against the dollar. 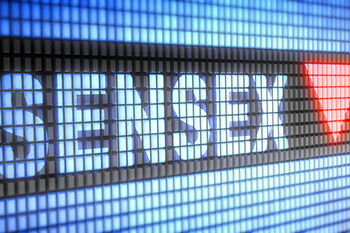 The Sensex dropped 242 points to 38,145 levels, while the Nifty slipped 73 points to 11,448 levels. The market breadth was negative with 641 shares advancing, 1,125 shares declining, and 348 remaining unchanged on the NSE. Shares of Jubilant Life Sciences dropped 1% after the USFDA classified API manufacturing facility, in Nanjangud, Mysore, as Official Action Indicated (OAI). Shares of Kansai Nerolac Paints slipped 3% after the foreign brokerage house downgraded the stock to sell from underperform. Volatility index, India VIX, was up 2.83% at 16.48. NTPC, JSW Steel, and L&T are trading higher, while HPCL, Infratel, and BPCL are trading lower on the NSE. The most active stocks on NSE are HDFC Bank, Reliance Indutsries, and Maruti.